DBA: Business Equities of America & QCN Corp. They will promise you huge lines of credit if you pay them Extraordinary “Credit Assistance” fees. This is Their Scam Company Business Equities of America. Here’s the summary of the case. In July 2007, the victims Mr. Johnson and a Mr. Pleasant from the state of Georgia see an ad in a magazine reference private financing programs for real estate investment/development projects. Johnson responds to the ad and is told by a Mr. Darrell Robinson, President of Business Equities of America (pictured herein) that he can deliver money for large projects without credit or collateral being an issue. Business Equities of America has numerous addresses listed on the Internet. The one they used in this scam is 2222 Michelson Drive Irvine California. Their phone number is 951.603.0031. Darrel Robinson’s accomplice has been identified as Cindi Denton. 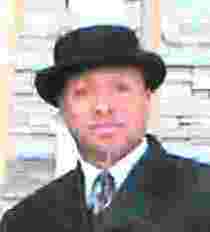 In Mr. Johnson’s case Mr. Darrel Robinson agreed to obtain a $3,000,000.00 (Three Million Dollar) line of credit. The “Line of Credit” was contingent on Mr. Johnson paying Darrel Robinson $50,000.00 as a “Credit Limit Assistance Fee”. Further the contract states that the $50,000.00 is “fully refundable at your request if you do not receive sufficient funding…within 30 days”. This is a LIE!!!! Mr. Pleasant, who is an acquaintance of Mr. Johnson, also makes contact with Darrel Robinson. Darrel Robinson subsequently contracts with Mr. Pleasant to acquire a $5,000,000.00 (Five Million Dollar) line of credit for a real estate project he is working on. Darrell Robinson is able to extract $100,000.00 “Funding assistance fee” from Mr. Pleasant. As of today, June 10th 2008 Darrel Robinson and Business Equities of America have failed to produce any lines of credit. And even after nearly a year of requesting and demanding the return of the “Credit Assistance Fees” Darrel Robinson has failed to pay one dime of the money back. Click here to view his website. Darrel Robinson (Robinson uses various aka’s: such as Derrall, Darrel and Derrel) – AKA – Derrall Robinson, AKA – Darrel Robinson, AKA – Derrel Robinson… has made numerous promises to return the money in full to the Victims in this matter. The latest Promise was that he would return the money by March 1st 2008. When this day came and went Darrel Robinson advised that he had hired an attorney to edit a contractual agreement between the parties to allow him to return the money in payments, basically amounting to what the legal industry calls a “Forced Loan” upon the victims. International Fraud Alert spoke with an official at the Global Advocates (globaladvocates.ch), who advised that they had been brought into the matter to examine the issue from a criminal perspective and to possibly mediate the situation to resolution. GA advised that they had been placed in contact with a man by the name of Michael C.
Bynane who claimed to be acting as Darrel Robinson’s attorney out of Houston Texas. The intent of Mr. Bynane (pictured below) being introduced to the matter was to assist with the finalization of a repayment contract. After nearly, two months of promises to bring the matter to resolution, absolutely nothing was accomplished other than what amounted to nothing by “stall tactics” by Darrel Robinson through his attorney Bynane. IFA has concluded by information gathered from various sources that Darrel Robinson has never had the ability or resources to acquire loans for anyone. In fact it is our belief that the whole process is nothing more than a scam to entice and induce unsuspecting victims into being defrauded out of their hard earned money. An investigation is ongoing and requests for criminal charges are being filed with the appropriate State and Federal authorities. Anyone who has been victimized by these conmen, please contact us and come forward! In one such case a gentleman by the name of Ty Couglin was involved and ripped off by Windes. Mr. Couglin was taken for $15,000.00 himself. Windes did the same thing with this victim, promised to return his money and never did. Further we have learned that Darrel Robinson is not the only suspect in this matter. Further information uncovered by IFA shows that another subject by the name of Michael Windes who operates QCN Corp. appears to be an associate or even an accomplice of Darrel Robinson. IFA has uncovered information that alleges that Windes has been pulling the same type of SCAM operation for years. In fact in the matter described above Windes even promised to return the stolen money to the victims himself of course this never came to fruition. Bottom line WARNING to the public, BEWARE of Michael Windes and Darrel Robinson. These men will claim to be able to assist you in acquiring large sums of money/lines of credit and it is a scam they will take your money laughing all the way to the bank, leaving you broke. If you have any information that will assist in the arrest and conviction of these criminals send us an email. Also please report your case to your local, state and federal authorities. Help us put stop to these scam artists from damaging anyone else! !